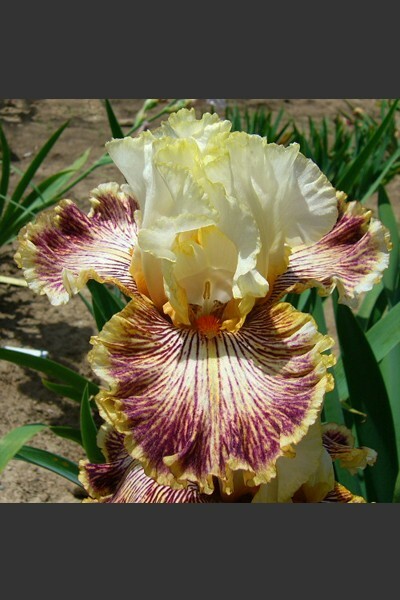 Hybridizer's Comment: What a crazy mixed up potpouri of color and pattern. Insaniac carries on with another variation of 'Wild Angel' type patterning. Flowers are fuller and more ruffled. The addition of gold edges on standards and styles makes a lovely accent. A clump of Insaniac will be a sure showstopper in your garden.